Are large sensor compacts from Olympus and Panasonic set to rival Sony's RX100? Sony's new RX100 features a 1 inch CMOS sensor... will other manufacturers want to join the party? 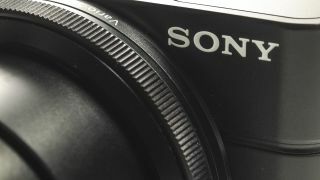 With Sony's announcement of its latest compact camera, a device which it has called a "gamechanger", it's only natural that the internet murmurs start to discuss the possibility of rival cameras. The Sony RX100 features a 1 inch CMOS sensor, which is roughly four times larger than the devices found in conventional compact cameras and the same size as that found in Nikon's compact system camera offering, the Nikon 1. As smartphones cannibalise entry level camera models more and more, the real growth area in the market is in the premium end, with consumers looking for higher image quality in the smallest possible package. Up until now, this gap was filled by the likes of the Canon S100, Panasonic LX5 and the Olympus X-Z1, each featuring full manual control, raw format shooting and a number of other premium features. However, all of these cameras feature a smaller sensor than the RX100 leading to speculation that upgrades could be just around the corner. The possibility of a Panasonic LX6 featuring a large sensor is something that has been discussed by the company before, while Olympus will also probably be keen to revamp its X-Z1 compact, which was first introduced at CES in 2011. Few specs about new cameras from Panasonic and Olympus are known, but, rumoured release dates of July have been speculated about for some time. In our review of the RX100, we found the camera to be excellent, so it will be interesting to see how other manufacturers will challenge it. Stay tuned for any news on new releases as it happens.